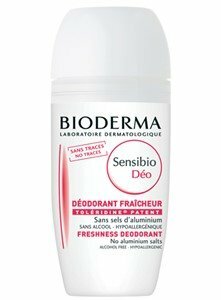 Sensibio deo fraicheur is a fresh deodorant for sensitive skin, odor neutralizer. Formulated with Zinc ricinoleate and 1.2-Decanediol, effectively neutralizes odors and eliminates bacterias, leaving the skin to breathe naturally. Developed for sensitive skin, with the Toléridine Complex, this offers maximum efficiency, ensuring the ideal tolerance. Ideal to apply after a waxing session. Apply on clean and dry skin. Non-marking.